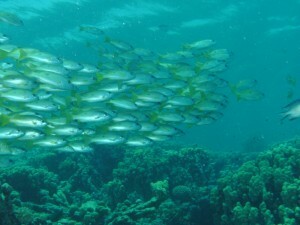 Red Sea, Marsa Alam, Egypt – The sea life is amazing and the water temperature is the warmest I have felt- even in winter. We swam with wild dolphins, turtles bigger than me, and saw lots of fish and coral that we don’t have around the US. We also saw lots of gigantic sting rays and much more. Read my review in Egypt for more information. Great Barrier Reef, Australia – The sea life is amazing. I rated it my second favorite because the water is on the cooler side at least when we went in autumn. I wore a wet suit and got stung by a jellyfish when I was at the surface. The sting went through my thick wetsuit and the mark lasted for months. My most favorite dive of all time was a morning dive in Australia. I almost didn’t get in because it was freezing cold outside and especially in the water. All the nocturnal fish were starting to settle down and the other fish were just waking up. If you have the opportunity, go diving when the sun isn’t quite up yet. In Australia there are lots of black tip sharks that you can dive with, lots of huge Wassie and Potato fish and some that follow you around and wait for the dive boats. The biggest sea clams you will ever see. Lots and lots of endless sea life and reefs. The boat ride out takes a while, so lots of people stay on a live-a-board. It is where you can dive, eat, and sleep. Read my review in Australia for more information. Grand Cayman– The shore diving is the best here. I like shore dives because it is on your own schedule and not with everyone else who is on the boat dives. We saw a lot of sea life in Grand Cayman and a lot of Sting Rays. Cozumel, Mexico – I love the diving in Cozumel. 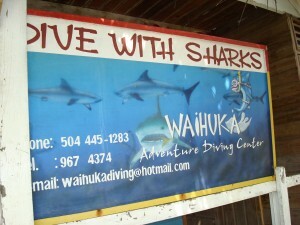 There is a drift dive that you can get to by boat that is really popular, that is where my husband I learned to dive. Some days the current is really strong. 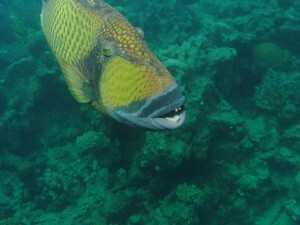 You will see reef sharks, large fish, large barracuda, lots of coral on a nice reef and much more. There is also great shore diving off of the Chankanaab Park in Cozumel. This place only reaches about 35 ft. but there are some caves, lots of lobster, crab, parrot fish, tube crab, small sting rays, barracuda, lots of statues that were placed in the sea and much more. This is a great place to learn to dive. 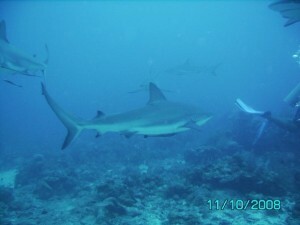 Roatan, Honduras- This was our first shark dive. It was amazing! 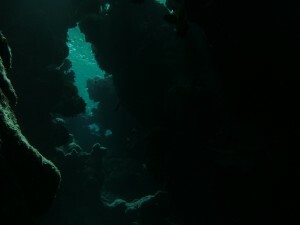 You hold onto a rope and at the bottom you just sit against a reef wall with your back next to the wall. The large (about 12 ft) Grey Tip Sharks start circling the dive master because they can smell what he is holding. He is wearing shark suiting, however the rest of us aren’t. He opens a can and the sharks go to town. 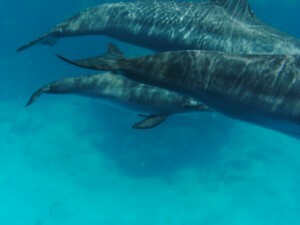 They swim next to you, close enough that you could reach out and touch them. They advise you to cross your arms and act calm. If the shark swims towards you, you look it in the eye. While they are feeding you notice other small fish are swimming right next to them. The sharks really like to eat hurting or dying fish. They really aren’t interested in people unless you act like a hurt dying fish. Belize – We only did two dives here and they were nice and relaxing, but we didn’t see a lot of sea life. However, that can happen anywhere you go. I am sure it has better diving than what we saw. Whitehouse, Jamaica– The place we dove didn’t have the best sea life, but they were nice easy dives. 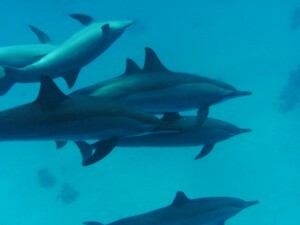 Cancun, Mexico– Has some nice diving, but most of the time the boats go to Cozumel to dive. Fort Lauderdale, Florida– We did a shore dive from Fort Lauderdale. Apparently this spot is the best place to shore dive in the United States. We went when it was stormy and in the winter. If it was calm and warmer water I would have liked it better. Cabo San Lucas, Mexico – The water is freezing in Cabo even in July I had to wear two wetsuits. The surge, waves, and currents are extremely hard to dive in at least when we were there which happened to be in a tropical storm. Also the visibility doesn’t compare to everywhere else we have been. We missed a Whale Shark by 1 day. I am sure if I had seen the whale shark, then by diving experience in Cabo would be different. I guess I prefer warmer, clearer water. If you have never been scuba diving before and would like to try it out before you commit to purchasing the license and spending time with the classes, then most dive operators will let you try it for free in their learning pool, lake or ocean depending on where you live. It doesn’t hurt to ask. 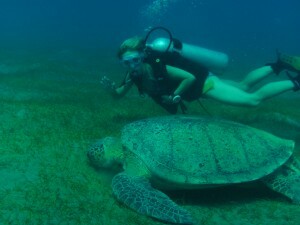 In Mexico they allow you to pay for a crash course to learn quickly to be able to dive with them for the week. I have great rates to people who want to learn to dive in Cozumel. Thanks for visiting My Favorite Scuba Spots. Please add your own favorite scuba spots!! !